For a fun adventure this Halloween, you can’t do without the classic family/kid-friendly Hay Ride at the farm! Fortunately, Colorado offers plenty of farms to do it. Head out for a fun day with family and friends riding through the field of crops and plenty of pumpkin patches for the perfect fit to your next Halloween carving experience. 7th Generation Farm Louisville 194 days ago Rate Now! Bartels Farm Pumpkin Patch Fort Collins 194 days ago Rate Now! Berry Patch Farms Harvest Festival Brighton 194 days ago Rate Now! 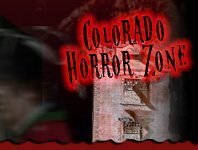 Colorado Pumpkin Patch & Hayrides Castle Rock 246 days ago Rate Now! Cottonwood Farm Pumpkin Patch & Fall Festival Boulder 246 days ago Rate Now! Denver Botanic Gardens Pumpkin Festival Littleton 205 days ago Rate Now! Ferrara's Happy Apple Farm Annual Fall Festival Penrose 214 days ago Rate Now! Guidestone Colorado Pumpkin Patch & Harvest Festival Salida 214 days ago Rate Now! Harvest Days Pueblo 214 days ago Rate Now! Harvest Farm Fall Festival Wellington 214 days ago Rate Now! Long Neck Pumpkin Farm Colorado Springs 214 days ago Rate Now! Mile High Farms Maze & Pumpkin Patch Bennett 194 days ago Rate Now! Miller Farms Fall Harvest Festival and Hayride Platteville 246 days ago Rate Now! New Castle Gardens New Castle 246 days ago Rate Now! Osborn Farm Loveland 246 days ago Rate Now! Pumpkin Pickin' Paradise Milliken 213 days ago Rate Now! Pumpkins at the Covered Bridge Montrose 246 days ago Rate Now! Red Wagon Farm Pumpkin Patch Niwot 246 days ago Rate Now! Something From The Farm Fort Collins 246 days ago Rate Now! Studt's Pumpkin Patch and Corn Maze Grand Junction 246 days ago Rate Now! Sunflower Farm Longmont 246 days ago Rate Now! YA YA Farm & Orchard Longmont 194 days ago Rate Now! Zippity Zoo Barnyard Loveland 213 days ago Rate Now!